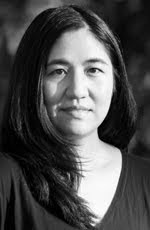 Janine Oshiro was awarded an Oregon Literary Fellowship in poetry in 2004. She currently lives in Hawaii, but is reading tonight, Monday, November 14, at Smith Memorial Center at Portland State University. The reading begins at 6:00.